Anyone can choose to hit the clubs and bars for a date, but why not do something a bit more interesting to make the date stand out in both your memories? You’ll certainly not get a second chance at making a good first impression, but just as important is the fun you can have with being a bit more creative over a series of dates. Memorable dates don’t have to be expensive, and they don’t have to always take place in the evening. Most of the date suggestions below can be taken at any time of day through the week. As ever, when you’re setting up a date, be aware of safety and let people know where you’re going to be, especially if it’s a first date, but above all have fun! 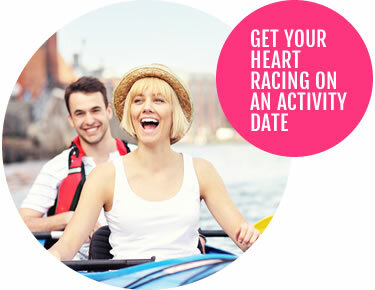 For something that’s both fun and cheap in the summer months, why not meet at Woolloomooloo and start your date with drinks at the Woolloomooloo Bay Hotel. You can relax a while and then have a gentle evening stroll through the nearby Botanic Gardens. This is a lovely walk that takes you all the way round from Mrs Macquarie’s Chair around to Circular Quay. There’s a free shuttle bus that’ll take you from there up to Central Station by way of George Street, so why not get out near World Tower and head on into Chinatown for the Night Markets. This is where you can enjoy the spontaneity of grabbing some food from the amazing street food stalls and see if you can pick up some bargains at the market stalls. The markets are open from 4pm until 11pm on Fridays. 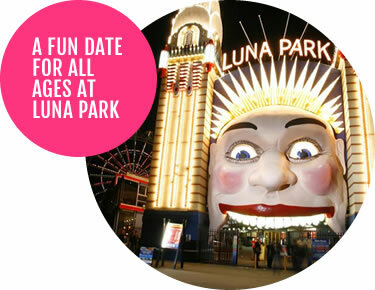 Take a trip to Milsons Point, just under the northern end of the Sydney Harbour Bridge and visit the classic Luna Park. It’s a harbour-side attraction built back in the 1930s and it’s full of traditional midway games as well as its rides. Famous for the enormous face at the entrance, it’s open all year round. Entry is free, and you then pay to go on any of the rides, or spend your time wandering around watching the world go by. If you buy an unlimited rides ticket, you can lose yourself in childhood nostalgia before heading into town for a meal and drinks later. We’ve got a great reputation in Sydney for our sweet tooth, so why not indulge yourselves with visits to some of the great ice cream and dessert specialists for a sugar rush to match the joy of your date? Places we particularly like are: Ladurée on Level Three of Westfield Sydney, which has macarons to die for, ready to be washed down with their hot chocolates. RivaReno Gelato also gets unapologetic thumbs up for its service and Belgian Chocolate ice cream. It’s right in the heart of Sydney at 280 Crown Street, Darlinghurst. Just down the road you’ll find Kurtosh, which specialises in Hungarian pastries made with chocolate and nuts, but for something really unusual, try N2 Extreme Gelato in Dixon Street, with its scientific theme and ice cream made with liquid nitrogen. Try their most popular flavour – Ferrero Reveal , a dreamy mix of Nutella gelato with roasted hazelnuts, covered in rice bubbles coated with chocolate top and served with a shot of dark chocolate syringe Mmmmm..
A great way to let your inner child out to play is to try Mini Golf, or Putt Putt, and the Thornleigh Mini Golf facility is one of the best around. It’s a great place to while away a date for something a bit different. No matter your age, it’s a great change of pace. Thornleigh has two eighteen hole mini golf courses, called Palms and Billabong and they’ve been landscaped with rivers, bridges, waterfalls and ponds. Afterwards you can chill out for a light bite at the Bunker Café, or head on into town for drinks somewhere else. You needn’t worry about it being just a daytime location though as they are open from nine in the morning until nine in the evening, seven days a week. Perhaps you’d like some history with your light exercise, seasoned with some chills? Why not try one of the themed ghost tours put on at The Rocks? These are run both during the day and through the evening in small groups, led by a knowledgeable local guide. As The Rocks are some of the oldest settled areas in Australia, there are plenty of stories that have accumulated over the years. Whether you believe in ghosts or think it’s all a load of hokum, the tours are packed with interesting historical facts as well as chilling stories. There are also plenty of stops along the way so you don’t get too tired over the course of the two hours or so that they take. 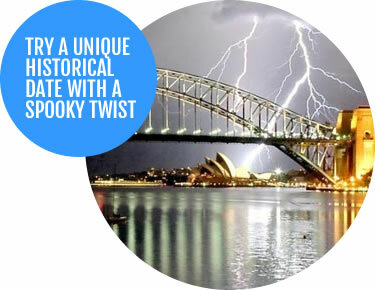 Sydney Ghost Tours offer two adult themed tours. The first is the Haunted Sydney Ghost Tour. This site starts from Cammeray Square ( Which is mid way between North Sydney and Northbridge on Sydney’s Lower North Shore.) This tour visits a cursed aboriginal site, a haunted mansion, then goes into the oldest cemetery on Sydney’s North Shore. This area is steeped in Aboriginal sites, along with locations that are known to be cursed, affecting people for the last 200 plus years to now. The Mansion used to have grounds that covered much of the suburb of Cammeray, and has a history that will make your hair stand on end.. Most of the suburbs of Sydney’s North Shore are named for people buried in the cemetery visited. There are locations here that are locally famous for photographing ghosts. The second Adult tour is the Middle North Shore Ghost tour. This tour starts from St Leonards Station, travels into the Victorian & Federation era wards of Royal North Shore Hospital, and from there into Gore Hill Memorial Cemetery – a heritage listed Victorian era Cemetery. This is the darker of the two tours, predominantly because of the residual hauntings experienced within the grounds of the cemetery, and the gruesome history of RNSH over the last hundred and thirty odd years – former patients and staff still haunt the wards decades after their passing. They also do themed events aimed at different age groups, families and parties, so this might be something to try as part of a wider group of friends. Contact Sydney Ghost Tours for dates and bookings. The harbour is such a massive part of Sydney life that leaving it out of date activities seems strange. 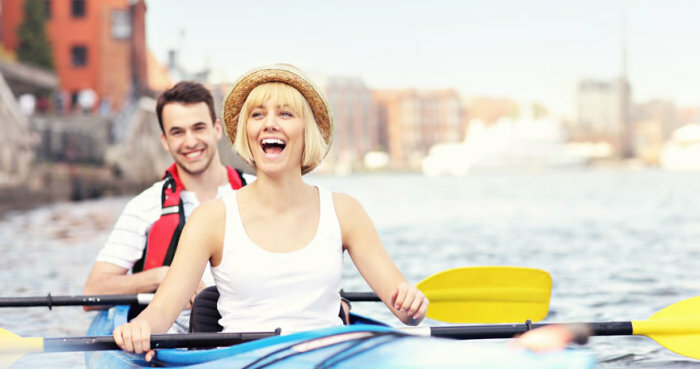 If you’re having an afternoon date, why not go kayaking? There are plenty of places around the harbour where you can hire kayaks, paddleboards and motorboats, but few are quite as pretty as Rose Bay. You don’t need to buy lots of gear, there’s plenty to hire, and don’t forget that you can hire double kayaks. You’ll have a safety briefing before you’re let out on the water, and it’s just common sense to remember to bring a hat, a bottle of water, a towel and a dry change of clothes with you for when you’re done. All you then need to do is get out on the water together and enjoy getting away from it all. This may sound a bit odd, but there’s nothing quite like watching the skies with a partner to calm and inspire you. All you need is a rug of some kind to sit on, and you can head out to a park or even just out into the back yard, lie back and relax. Have some food and drink with you and have a private picnic under the stars where you can talk, laugh and snuggle up. 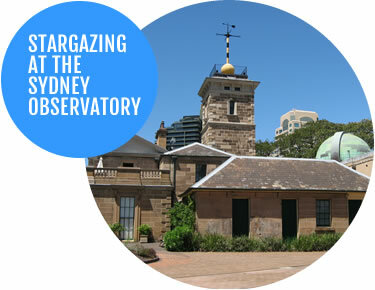 If that sounds a little lazy, why not check out the Sydney Observatory? The views of the harbour are amazing, but even better, they offer night time tours. These will let you see the night skies in ways you might only have seen in films. They are open every night, Monday to Saturday and bookings can be made up to three months in advance. The Observatory runs events and live music in the grounds, as well as special nights with pizza and stories suitable for younger families, so there really is more to this than just looking up in the sky. Give it a try! You might be a bit surprised to hear about it, but Sydney still has a Drive-In cinema, where you can just pull up and snuggle up in the relative privacy of your car while watching a film. Located on Cricketers Arms Road, Blacktown, they have two screens and feature both 35mm and 70mm projections on a seasonal basis. The films are among the latest releases, but the comfort and atmosphere is straight out of the golden age of dating while still retaining a reasonable price tag. No matter what your budget, there’s always something to do – the old stand-bys of bars and clubs are always going to be there, just as the parks and campsites are always going to be open for quieter times on your own – so take advantage of the summer months while they’re here and use your imagination. The important thing to remember is that a date is about the pair of you discovering what you have in common and what you like about each other. Dates that take you away from your usual environments, or that limit your ability to spend all your time on your smartphone mean you can devote more time to listening, talking and getting to know each other.